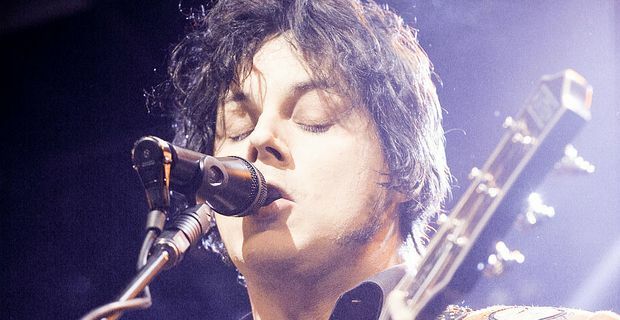 Musical Luddite Jack White has been talking about his love of vinyl. In no way an affectation to go with his contrived image, White finds romance in the plastic and never mind that it is keeping the petro-chemical industry ticking over, even if, in White’s case, it is his local Nashville pressing plant. "The whole experience of vinyl is what we're after, the romance of it," he told the BBC, explaining why his own record label puts the emphasis on vinyl. "The smell of vinyl, the smell of a newly opened record. If we don't see something moving, we lose romance. There's no romance for me to sing to you about an iPod." White is the floppy-haired indie-kid who wishes he was a grizzled Alabama blues man. His vinyl fetish is part of a broader belief that music, and musical artefacts, should be physical and tangible. "I think digital and invisible things, they make you feel like some other being is in charge of this somewhere else, 'I'm just a witness to this and I'll just sit here politely'." He fixates on the aesthetic details of his record company. He explained the yellow, white and black logo of his label, Third Man Records: "I don't like image for the sake of image," he said, and was allowed to get away with it. "It has to come from a place that means something. The colours yellow, white and black go all the way back to my upholstery hand tools from my upholstery shop."